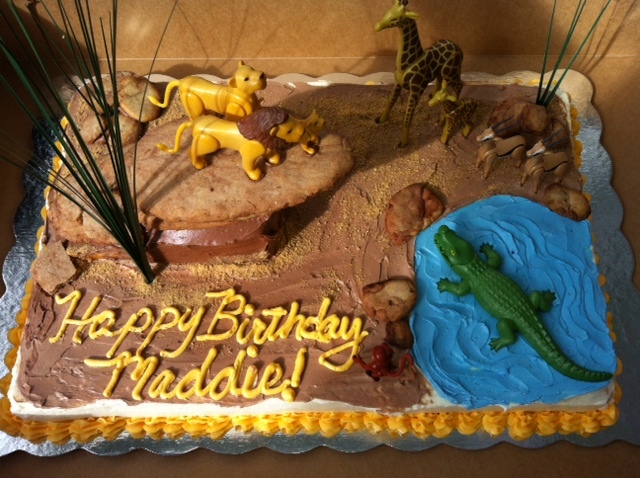 I made this cake for my favorite four year old, Maddie. This was so fun! The base is a basic chiffon cake. It’s a lovely one bowl recipe, the only difference is after you mix all ingredients you fold in beaten egg whites. 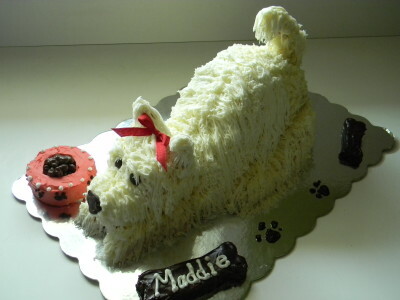 The result is a light and airy cake that is not too sweet. My right hand gal Nancy baked the cake and made a delicious real butter cream frosting. I also needed a small rectangular cake for the base of my large rock formation. I am no ready, I have the perfect canvas for a Lion King cake. First I mixed a basic butter cookie recipe and kneaded some cocoa into enough dough to form the large and small rocks. I baked them and set them aside. I cut the rectangular cake on the diagonal and put the two identical pieces together. I added cocoa to some of the butter cream and I iced the wedge or base for the rocks. 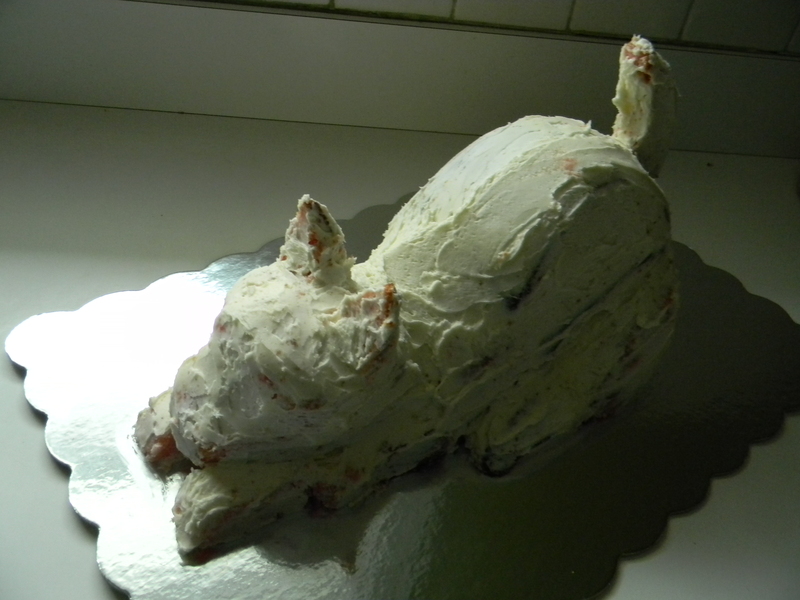 With a toothpick I traced into the icing where I’d put the water. I iced the top of the cake brown. I added blue food coloring to some of the butter cream to form water and iced in the water. I sprinkled graham cracker crumbs around the brown base to make it look like sand. 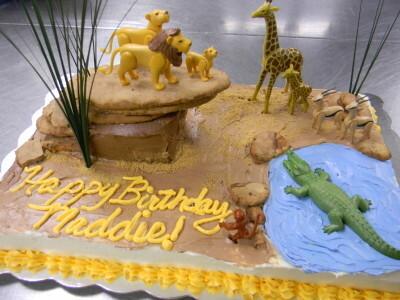 I placed cookie rocks around the cake with some grasses coming out of them. I bought the grasses at Michael’s for .59 each. 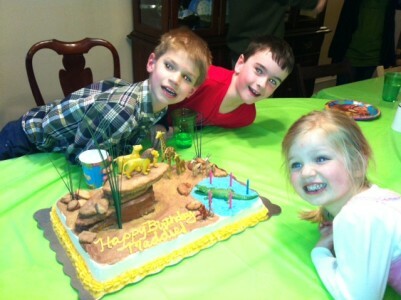 Now I’ve got to start thinking about what I’ll be making for Ryan’s next cake! I feel good about making a delicious birthday cake with real ingredients. Red Velvet Cake With Cream Cheese Frosting….. This recipe is a one bowl recipe, my favorite. 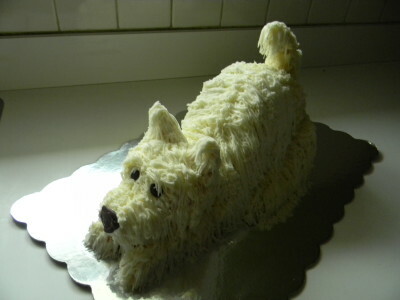 It is very, very moist and especially delicious with the cream cheese frosting. Refrigerate after you frost it and pull it out of the refrigerator 30 minutes before serving. 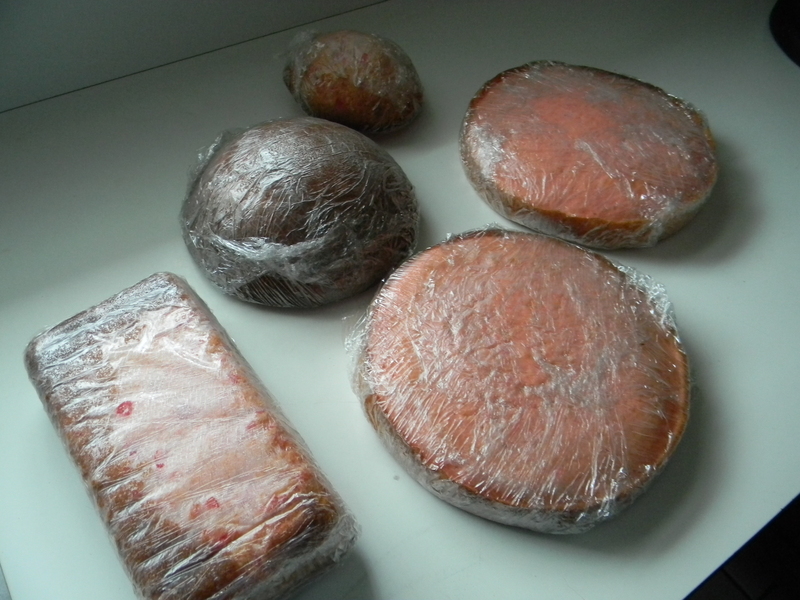 Cover and refrigerate any leftover cake. I’ve changed the recipe a little bit. The original recipe called for only 1 teaspoon of cocoa…what?! I wanted the cake to have a little more “chocolate” taste. Use three 9″ pans and you’ll have a nice high cake. Baking times may vary according to your oven. 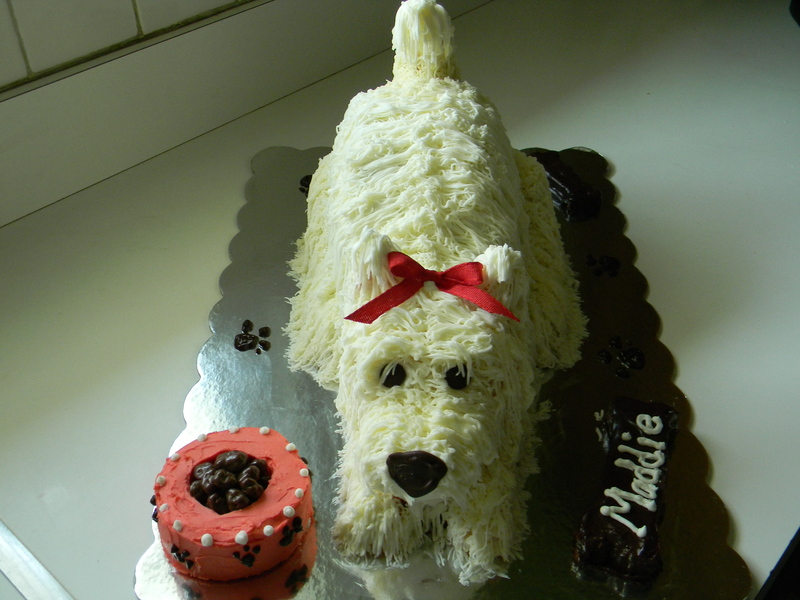 See my post on baking and frosting tips. There is a great deal of food coloring in this recipe. I strongly suggest you use what’s required. I tried it with less and it didn’t have the same dramatic affect. 1) Preheat the oven to 350′. Generously coat 3 9″ pans with cooking spray and dust evenly with flour. 2) In a large mixing bowl, sift the flour, sugar, baking soda, salt and cocoa powder. In another large bowl, whisk together the oil, buttermilk, eggs, food coloring, vinegar and vanilla. 3) Using a stand mixer or hand mixer, mix the dry ingredients into the wet ingredients until just combined and a smooth batter is formed. 5) When done, remove the cakes from the oven and run aknife around the edges to loosen them from the sides of the pans. Cool 10 minutes then invert onto a plate, then reinvert onto a cooling rack. (Now the bottom of the cake is resting on the rack, rounded sides up) Cool completely. 1) In a stand mixer with a paddle attachment or an electric mixer in a large bowl, beat the butter and cream cheese until well blended and creamy. Add the sugar 2 cups at a time and mix on low speed. Scrape down the sides of the bowl occasionally. When you add the last 2 cups of sugar, you may need to add milk to get the perfect consistency. Add one teaspoon at a time. Once all of the powdered sugar is incorporated, add the vanilla and beat briefly until fluffy. You’re ready to frost the cake. 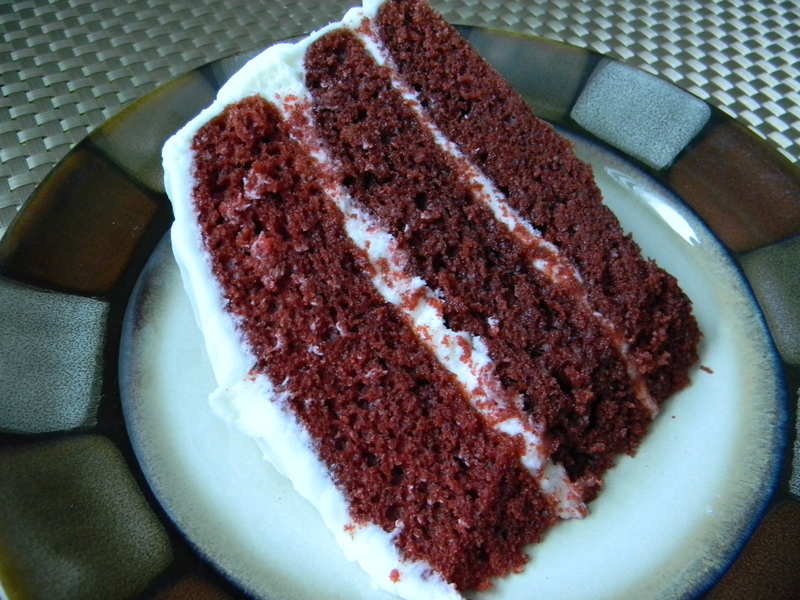 2) When assembling a two or three layer cake, you’ll want the cakes to be relatively flat. 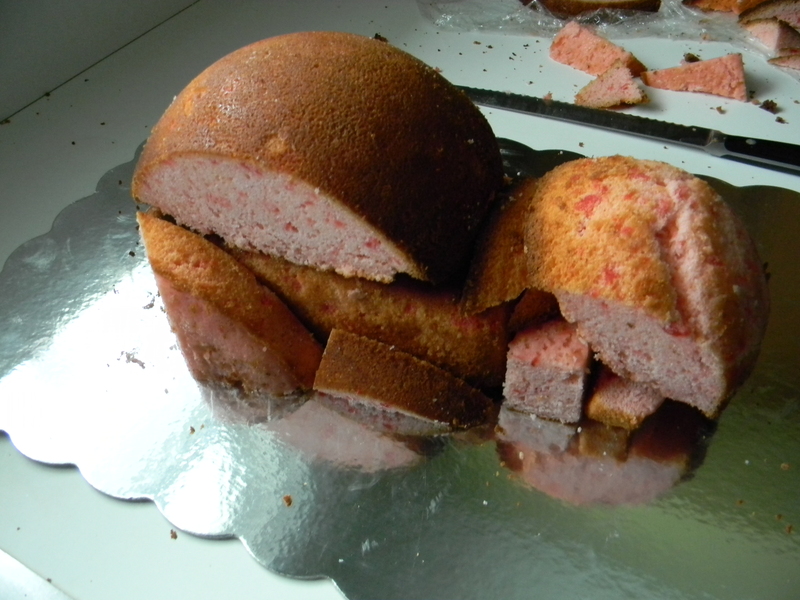 If your cake has a dome like top, use a long serrated knife to level it off. (It is critical here to go ahead and taste the cake. You know, for quality control purposes) Place the cut side down either on the plate or on the top of the bottom layer. It is far easier to frost the bottom part of the cake (the part that was in the pan as opposed to the cut side) Hope that makes sense! 3) Use lots of frosting. Joking aside, it’s quite nice to not worry about crumbs on your finished cake. You first do a “crumb” layer. 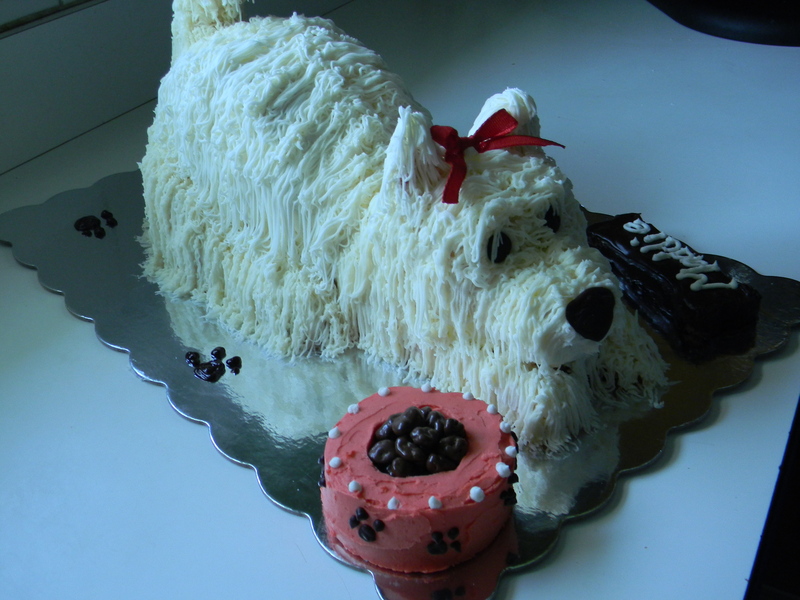 Refrigerate the cake for at least 30 minutes before proceeding to the final layer. 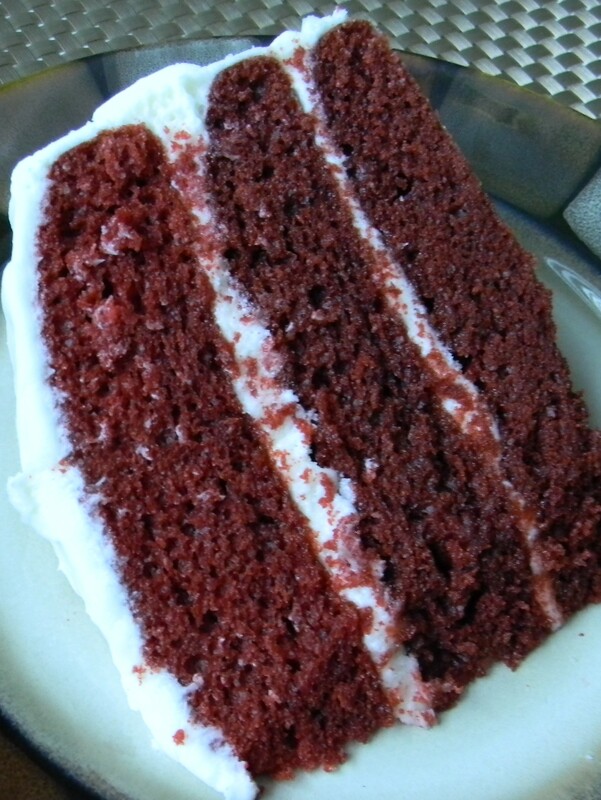 4) Put a splotch of frosting on the plate to hold the cake in place. Put your first cake, cut side down if necessary and ice the top of it. Proceed to layer two and layer three. Using lots of frosting, ice the sides filling in any gaps between the layers. Finally, frost the top. 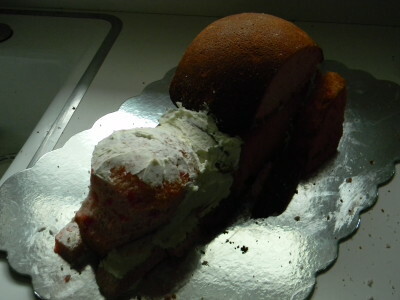 5) Frost the chilled cake with the final layer of room temperature frosting. If you prefer a very smooth surface on your cake, you can dip your spatula into water and smooth out the seams on your cake. When Ryan received the invitation to Alex’s birthday party, I thought gee, the design on this invitation would make a really cool birthday cake. Here it is! I bought a large black foam board at the grocery store and a silver sharpe. I had to carefully map out the planets as Alex’s parents and grandparents all have major science backgrounds! For the cake, I used my good ole Betty Crocker Bake n’ Fill pan that’s shaped like a half-moon. I simply iced the cake with yellow frosting and I used tie dyed fruit roll ups to resemble flames on the burning sun. 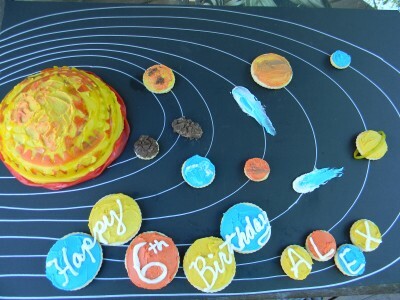 I went on-line and found images of the planets and duplicated them on round butter cookies with icing, more fruit roll ups and chocolate. Mercury has the Hershey’s Air Delight crumbled on the top as it looks like moon rock, only brown. (and quite tasty) Saturn was my fav. Using my warm hands, I squished yellow fruit roll up into a strip and trimmed it into an even long strip with my pizza cutter. 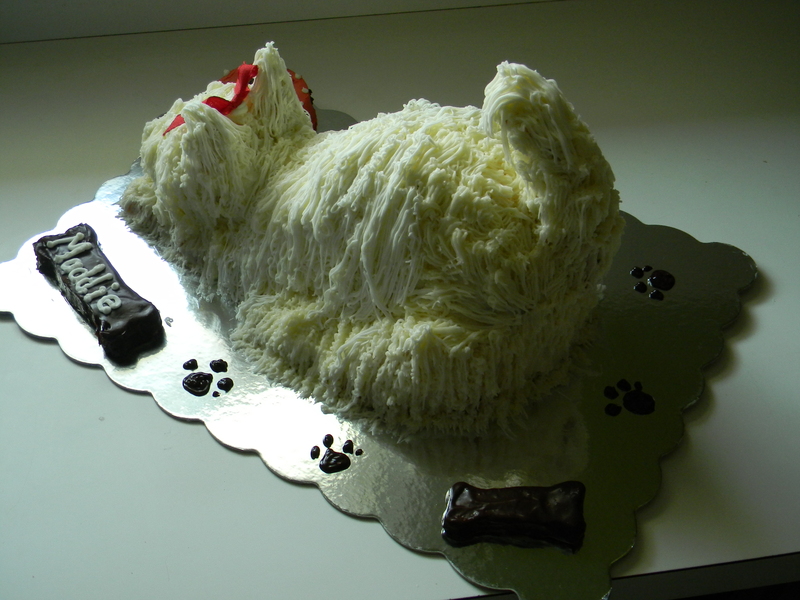 To keep everything in place I used a dollop of frosting as glue. I had to throw in a couple of comets and asteroids…. You can see that there wasn’t much cake so I made a couple dozen chocolate cupcakes with the assorted planet colors. Then, how to write happy birthday?? I stood in the kitchen staring at my creation for a bit and thought I’d ice more cookies and write on the cookies. Cute huh? Most importantly, the birthday boy was happy! Happy Birthday Alex!! 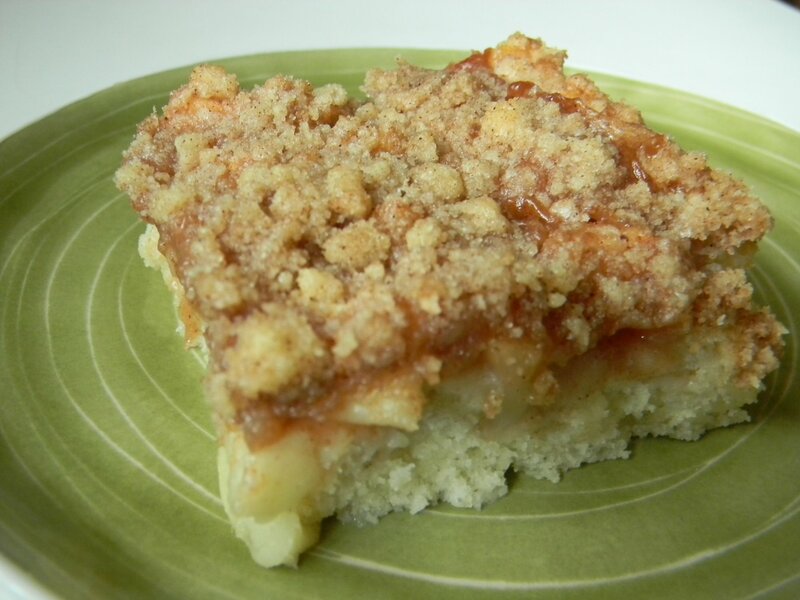 Apple Cinnamon Streusel Coffee Cake…..
One of my fondest childhood memories is walking home from school and smelling apples and cinnamon in the air. It was then that we broke out into a full sprint for home. The smells were always coming from our house! My Mom made some of the most delicious goodies! I always wanted to be like my Mom. I think it’s interesting how popular cinnamon scented candles are these days. I found it funny that when I first met my husband he had many of these candles in his house. I remember thinking how much he’d enjoy my homemade apple pie or cinnamon rolls. To this day anything I make that has cinnamon in it drives my people crazy! Try this amazing apple cinnamon delight. There are a few steps involved. Make the apples and the streusel a day in advance if you like. 1) For the apples. Place the prepared apples into a medium size sauce pan and add the sugar, flour, cinnamon. Mix to evenly coat the apples. Add the lemon juice and water. Cook over medium-low heat for 8-10 minutes, stirring often to prevent sticking. Add a little more water if it’s too thick. Remove from heat and set aside or refrigerate if using the next day. 2) For the streusel. Add all ingredients into a small mixing bowl and blend together using your fingers until you get a nice crumbly mixture. Refrigerate in an air tight container if using the next day. Otherwise, set aside. 3) For the cake. Preheat the oven to 350′. 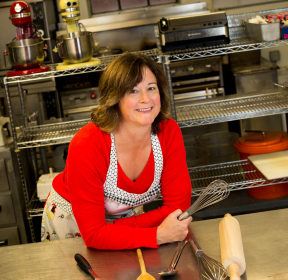 Generously coat a 9×13″ baking pan with cooking spray and set aside. Add the flour, sugar, baking powder and salt to a large mixing bowl. Stir to blend. Make a well in the center of the ingredients. 4) Add all of the wet ingredients into the well. Mix until the dry ingredients are incorporated, do not over mix. 5) Pour the batter into the prepared baking pan. Evenly top with the cooked apple mixture. Top evenly with the streusel topping. Bake for 30-35 minutes. A toothpick should come out clean. Allow to cool for at least 15 minutes before serving. 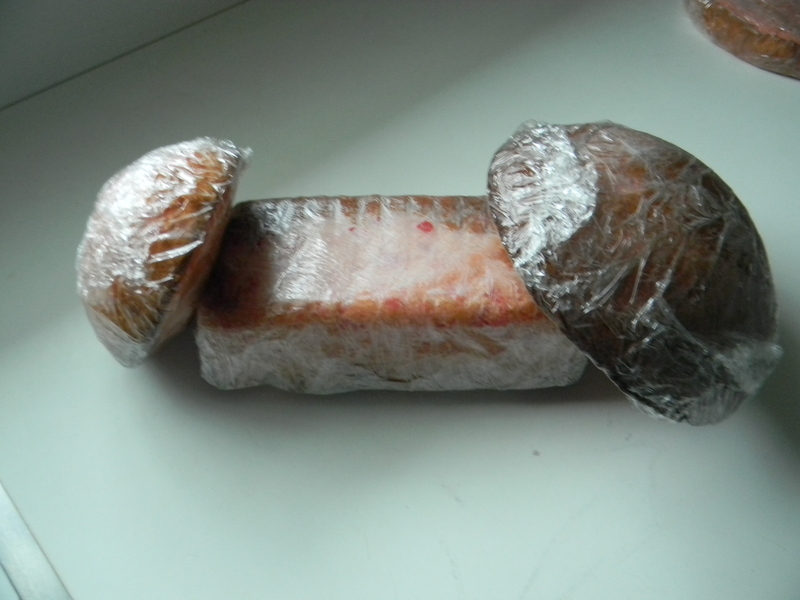 Cover and refrigerate leftovers. Makes 12 servings. My Mom used to cook regular old pumpkins to make pies and baked goods so I decided to do the same. You do not need “pie pumpkins” specifically. I cooked one large 12 lb. (approximately) and got roughly 24 cups of pureed pumpkin. That’s equivalent to about 12 cans of store bought Libby’s pumpkin at $2.99/can. So I’ve saved $35.88 simply by cooking one of our uncarved Halloween decorations, I LOVE that! The process is quite simple. You will need a food processor. My Mom tried using a blender but it was too thick to completely puree. 1) Cut the pumpkin in half. Scoop out all of the seeds and connective stuff. 2) Place cut side down on a large cookie sheet with sides. I added water to the bottom of the pan as when I originally started roasting the pumpkin I could hear sizzling. I did not want the edges to become browned or caramelized so I added just enough water to cover the bottom of the pan. 3) Roast in a 350′ oven. I cannot tell you exactly how long to bake as it depends on the size of the pumpkin. You must bake it until the flesh is very soft. This took a good amount of time for the huge pumpkin I roasted. It took a little over an hour and a half. 4) Remove the pumpkin from the oven and carefully flip it over to release the steam/heat. 5) Scoop out the flesh and put it right into the food processor. Reserve some of that cooking liquid from the bottom of the pan. 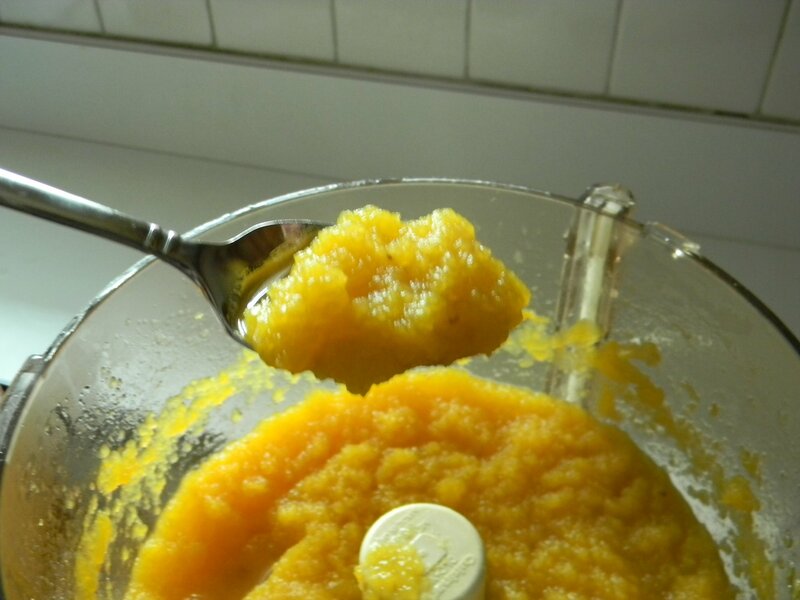 6) Puree in the food processor, add a small amount of water if it’s too thick. 7) To freeze, first label and date quart size freezer bags. Remove as much air as possible from each bag. Freeze and use in recipes like Whole Wheat Pumpkin Spice Bread, Traditional Pumpkin Pie, or one of my absolute favorites Pumpkin Squares with Cream Cheese Frosting. 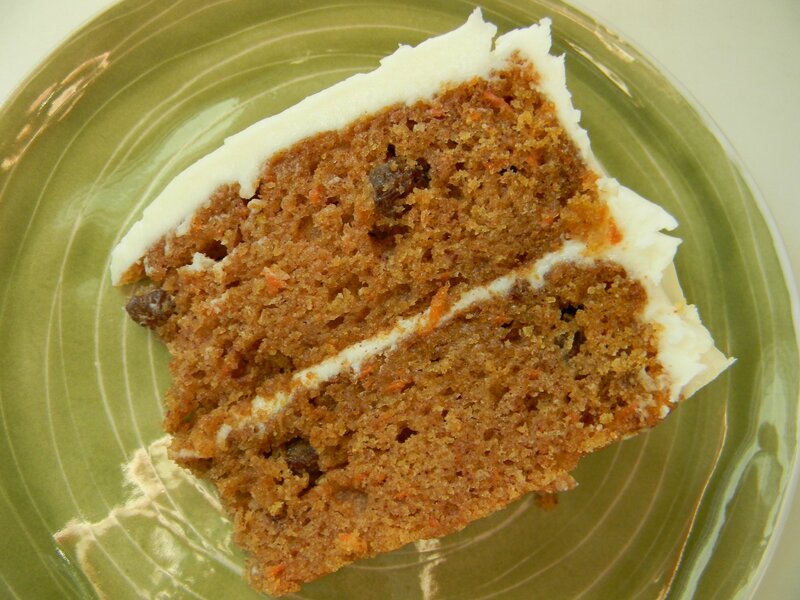 As good as these recipes are with canned store bought pumpkin, they’re even better with freshly made pumpkin. 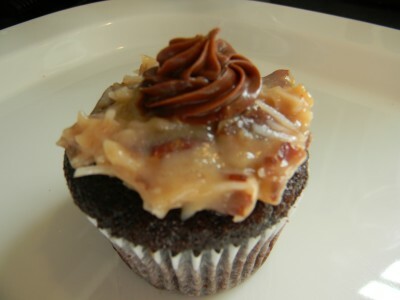 What’s not to love about a cupcake???? They’re the perfect size, ok, maybe you’ll have to have two! Perfect for casual parties, no serving plates or forks necessary. There is something to be said about “mini” anything. So cute and appetizing. Make these from my recipe for Pumpkin Squares with Cream Cheese Frosting and simply bake in cupcake pans. This one bowl cake recipe goes together in minutes. The recipe will make 2 1/2 dozen cupcakes. Bake at 350′ for 17 minutes. Be sure to spray the inside of the cupcake liners with cooking spray and fill each liner to 2/3 full. Cupcakes cool much faster than a large bar pan so they can be enjoyed much quicker! 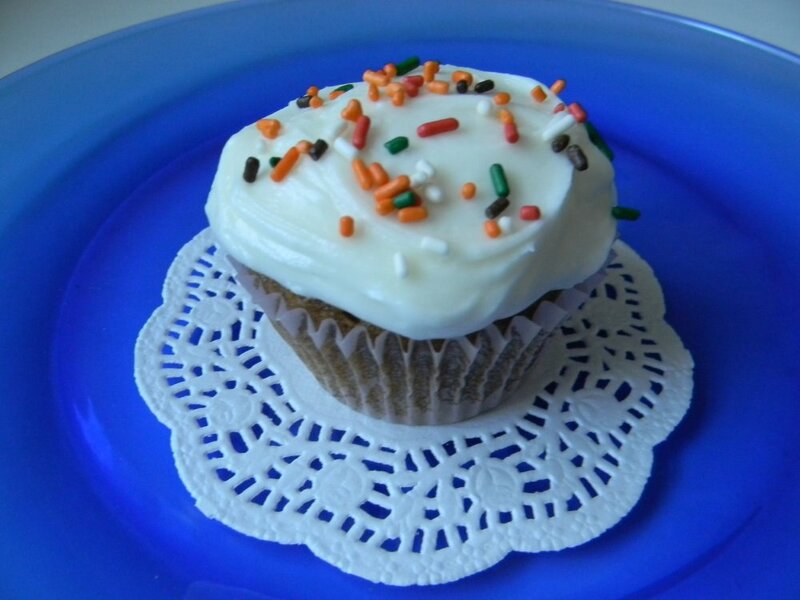 So easy and so much better than any store bought cupcake. Moist and tender cinnamon pumpkin cake with cream cheese frosting…..that’s what I’m talkin’ about!